With the Meta Trader smartphone app, You receive real time access to the most interesting financial markets in the world – wherever You are and whenever You want! You can view Your account anytime and trade currencies, precious metals and CFDs through Your smartphone and check Your ongoing positions. Remain informed, even while on the move, by getting Your smartphone to view Your account, including market data, current balance reports and the most important technical indicators. How to install MetaTrader 4 for iOS? Activate/install a barcode scanner on Your smartphone. 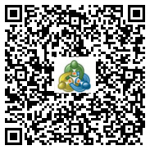 Scan the barcode below while holding the smartphone directly at the code at the bottom of this website. You will now be forwarded to the AppStore (iPhone) for installing the mobile trading platform. Install the Metatrader platform on Your mobile device. After registration, You can trade Your GBE brokers account on Your mobile platform.